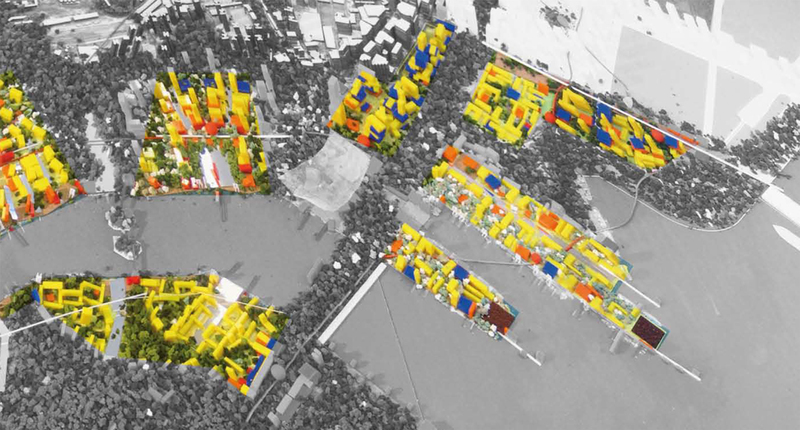 Systematica, together with Foster + Partners, moved to the second stage of the Singapore Greater Southern Waterfront Competition in November 2009. The project comprises of a mixed-use development of 10 million square meters of built-up area on a land area of almost 6 million square meters. The project poses a series of challenges, most significantly the relocation of the port, which is currently located on the project area. This requires an in-depth understanding of the new dynamics that will characterise the port area after the adoption of the new program. The project includes the extension of two mass rapid transit (MRT) lines and a light rapid transit (LRT) that will connect the new development to the future expansion of the current CBD. 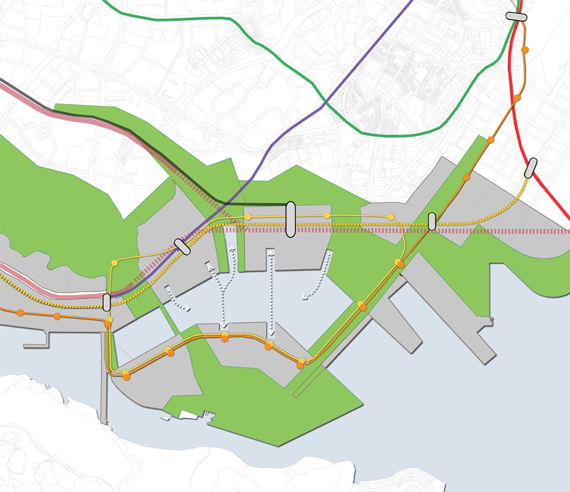 MRT extension, LRT implementation and the relocation of the existing port are some of the core-challenges of Singapore Greater Southern Waterfront.